Find out why Edraw is the easiest to use Electrical CAD Software on the market, and how it can make electrical, P&ID and PFD drawing even easier and faster than ever. The best electrical CAD software offers you the easiest and fastest way to get electrical drawings done. Edraw is exactly such electrical CAD software that even novices can use without learning curve. Most people can draw an electrical schematic in Edraw within 10 minutes at ease for its drag-and-drop symbols and powerful tools. Many electrical engineers all over the world rely on Edraw to get their circuits done quickly, accurately and efficiently. See why Edraw makes sense in the following part. Click here to free download Electrical Diagram Software. 1. Compatible with MS programs. Files can be exported into various formats including PDF, docx and pptx. 2. As easy as pie. The Intuitive interface is similar with MS Word. Familiar to anyone already using Microsoft Office. 3. As fast as lighting. Supports drag-and-drop use and point-and-click editing. Complete electrical schematics more than 300% faster. Just place electrical symbols into the canvas and attach the wires. 4. Free ready-to-use templates for quick start. Well-formatted templates reduce a lot time and effort in designing electrical drawings. 6. Free trial before purchase. No registration, no forms to fill no gimmicks and no strings attached. 5. Service and support is everything. Emails are replied within 24 hours by the technicians themselves, no outsourcing, no auto responders and more importantly, no excuses. Free lifelong update is available, too. 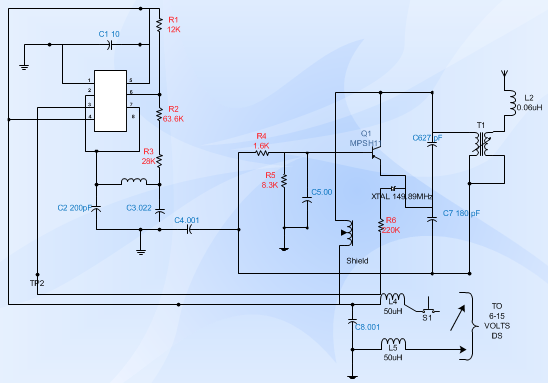 The following electrical engineering diagram is created by Edraw electrical CAD software. You can drag the built-in electrical symbols then connect them without a hitch.